There’s excitement in the air at the Bella Vista Social Club & Caffé. 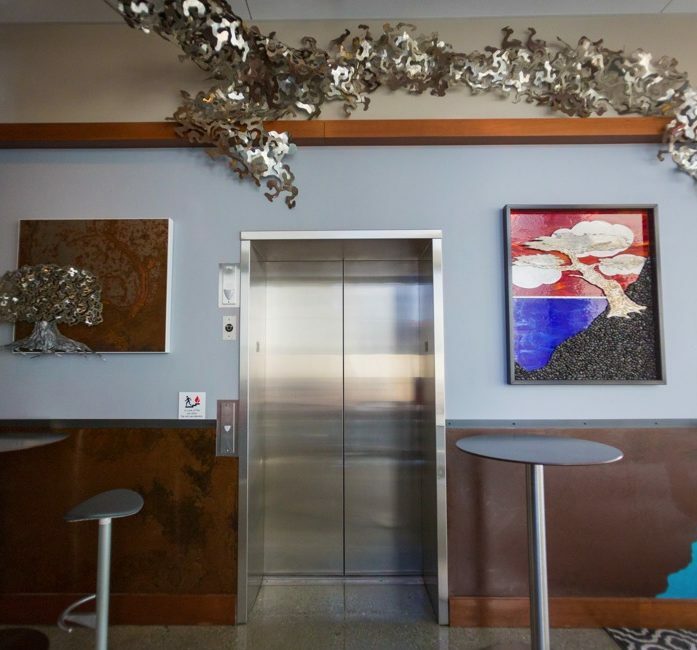 Designer and artist Michael Leaf has completed the installation of his innovative 200-foot steel masterpiece which floats along the interior walls. 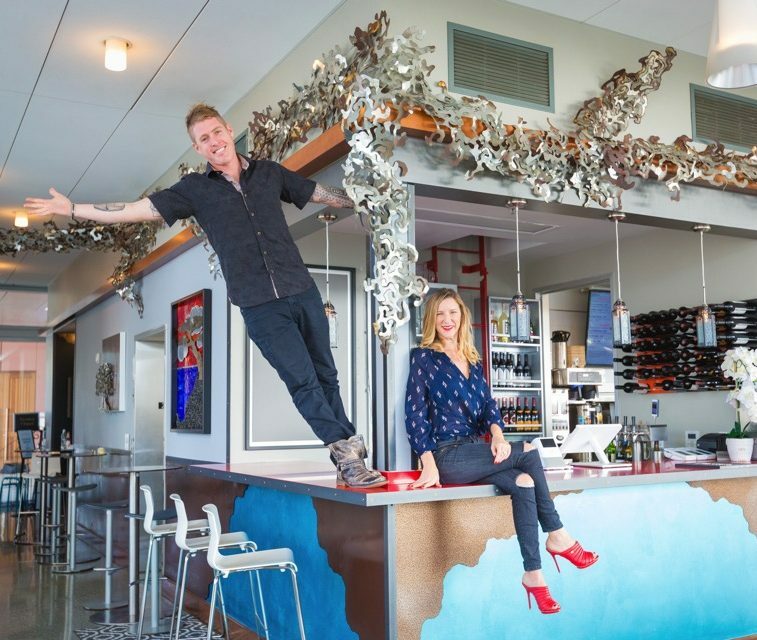 Owners Nico and Amanda Caniglia both lived in Spain, immersed in the arts, and always had a vision to infuse art into the Bella Vista experience. They waited to cross paths with just the right artist and when Amanda met Michael Leaf, she knew he was the one meant to bring the vision to life. When Amanda visited Michael’s studio and saw his “IT” sculpture, she told him, “I want that at Bella Vista!” Construction began in the fall of 2018, and Michael unveiled “IT” as the centerpiece of Bella Vista’s new look in February of this year. Inside, Bella Vista has been transformed by Leaf’s works that depict coastal scenes with Euro chic and blue Moroccan undertones. These, as well as mosaic shapes, capture the true essence of the owners’ Mediterranean roots. New and exciting events have been added to Bella Vista this year, including a Wine Master Series with local Wine Master Lindsay Pomeroy, Sunset Hour on the terrace, a spring Drink & Draw, epic networking nights and salsa and bachata lessons. There have even been talks of karaoke! “The Bella V” is the place for great conversation and for making connections. This is the place to be seen, the place to craft business deals and the place to savor friendships. Congratulations to our Spring 2019 photo cover contest winners! Do you have a great photo of La Jolla, Del Mar, Solana Beach, Point Loma or San Diego that you would like to have on the cover of our next issue? Email your photo by June 6, 2019, to: info@abouttownmagazines.com The About Town Magazines team picks the photos to be used for the covers. About Town Magazines will notify you by June 8, 2019, if your image has been selected. You must be able to provide a 300-dpi vertical 9.5" x 11" photo if your photo is chosen. Go to abouttownmagazines.com to check out some of our previous covers.